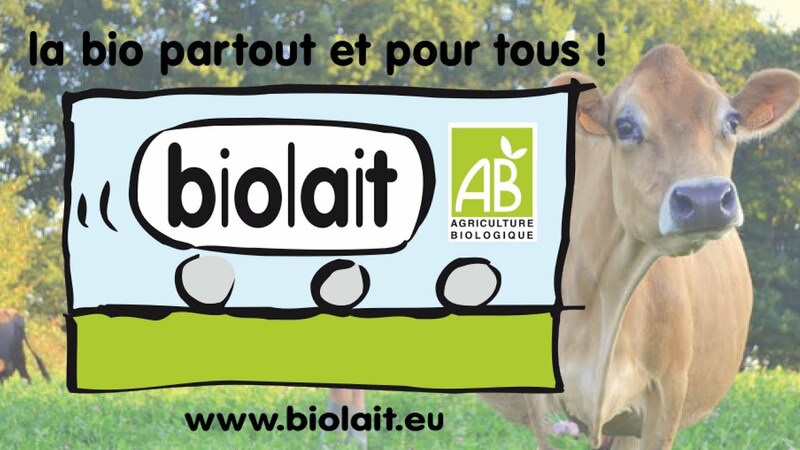 Founded in 1994, Biolait is a group of French farmers producing organic cow milk (1200 farms located all over France). In 2017, the members of Biolait produced 181 million liters milk, which represented about 30% of the French organic milk. We are very confident that our recent development and help to converting conventional farmers to organic farmers should contribute to keep up with this figure. We don’t process the milk ourselves: we collect it and deliver it “à la carte” to many processors throughout Europe, adapting to their operating constraints in order tO achieve optimal profitability of production facilities. Delivered quantities range from only 5000 liters per week up to over 10 trucks on the same day. In 2004, an HACCP procedure (milk quality management) was established on milk collection. Biolait guarantees full traceability. Self-sufficiency on the farms: including our recent decision to ban any imported animal feed. Moreover, we fully encourage the pasture (grazing), which can reach, on some specific parts of France up to 11 months a year. Nutritional milk quality: We participate in a research project about the nutritional quality of our organic milk (omega 3 / omega 6 ratio, proteins digestibility, A2 milk…). Biolait aims at ensuring a stable price to the farmers thanks to long-term contracts. Furthermore, we have a principle of solidarity implying that every farmer receive the same milk price, whatever his region or his milk volume is. A perfect mix of Quality, Traceability, Flexibility, Reliability and Solidarity is what drives our every day mission: Organics everywhere and for everyone! Organic cow whole milk, produced by organic french farmers. Thanks to industrial partners, we also provide organic skimmed milk (full truck loads), organic cream (full truck loads) and organic skimmed milk powder (1 ton Big Bags).